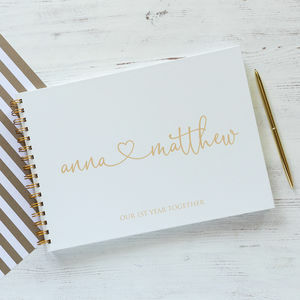 Wedding guest book with beautiful foil detail. 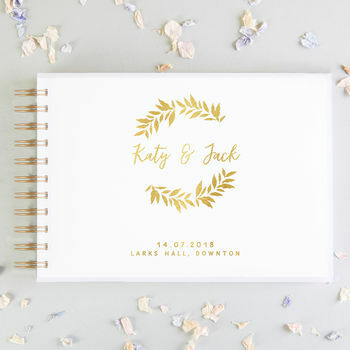 Perfectly illustrated leafs are foiled in a wreath pattern to create a stunning design that is combined with modern fonts for a contemporary feel. Along with your personalised details, this design is added to a frosted perspex cover perfect for your wedding day. 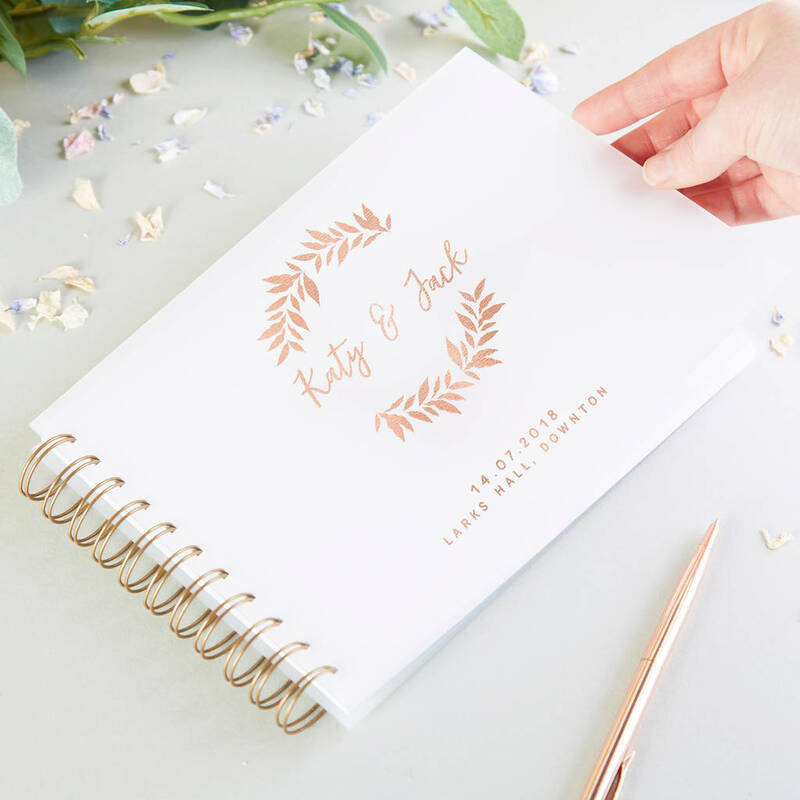 This guest book matches our 'Botanical Blush' wedding collection. 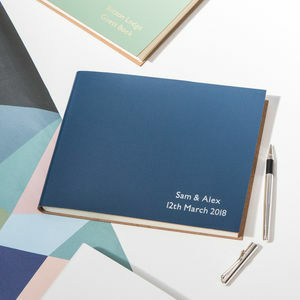 Each wedding guest book is designed, personalised with real foil and bound to order in our Manchester studio onto perspex covers to create a unique book with a rustic luxe finish. 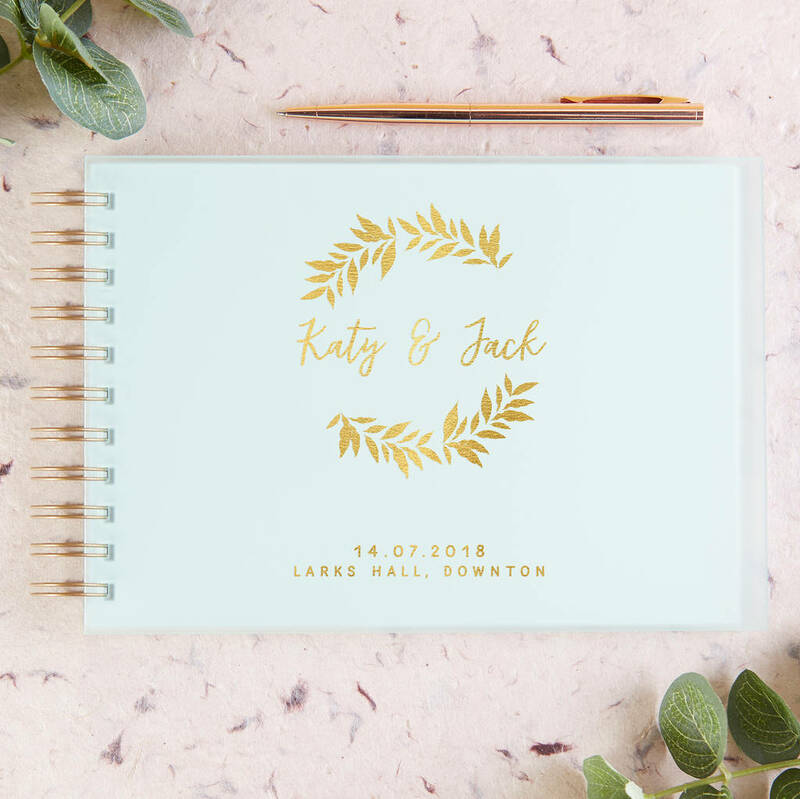 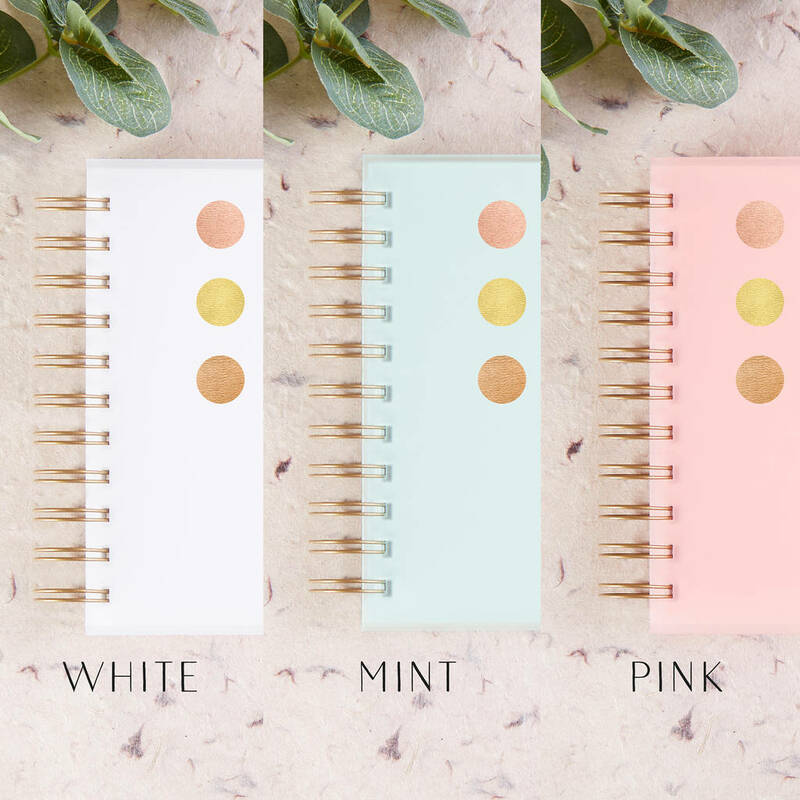 Made from 3mm scratch resistant frosted acrylic with a beautiful transparency. 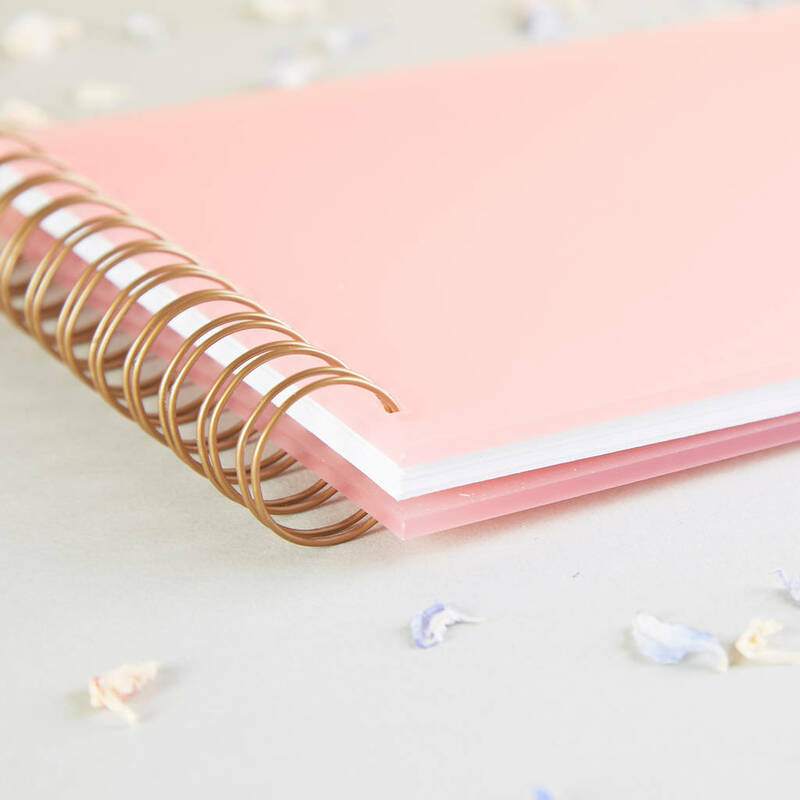 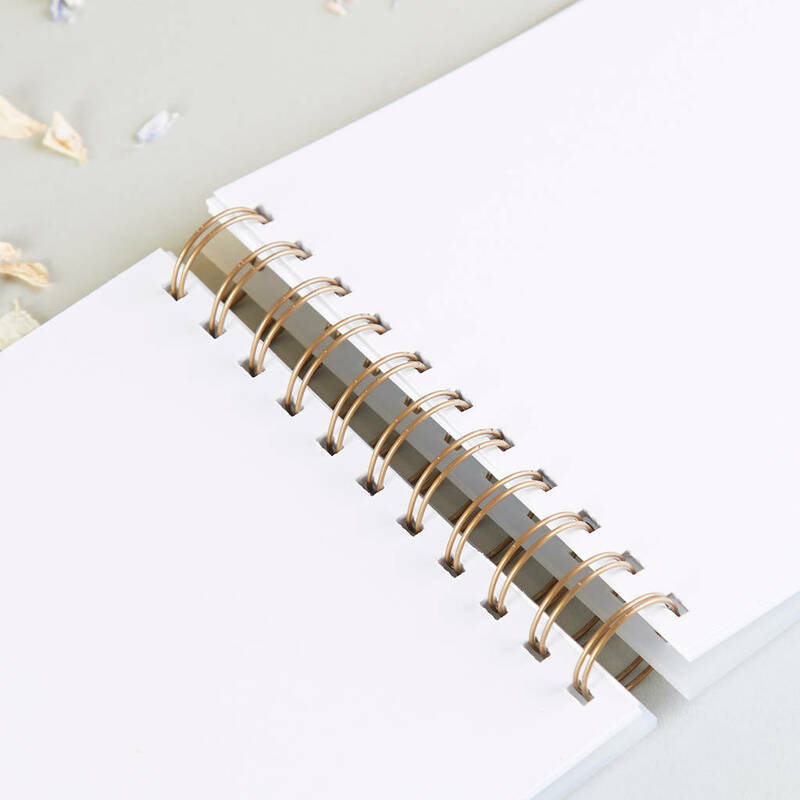 30 sheets (60 sides) of luxuriously thick 180gsm white paper fill the wedding guest book and are expertly bound together with a bronze wire. 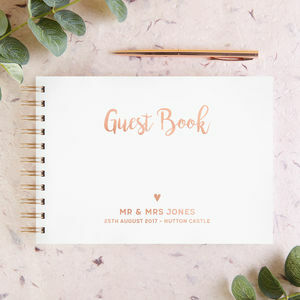 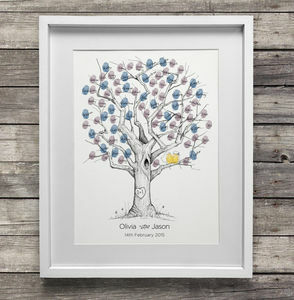 Wedding guest book is A5.